Whatever you fly, there's something for you in the May 2014 issue of FLYER. 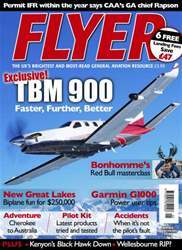 In a FLYER exclusive, we fly the TBM 900, a top secret successor to the already impressive TBM 850 featuring a complete aerodynamic make-over. At the other end of the scale, we also take a close look at the Bowers Fly Baby, a stunning single-seater plans-built with vintage looks and fun-to-fly feeling. The G1000 is the avionics powerhouse that is becoming more and more common across the GA fleet. Garmin geek Joe Fournier explains how you can get more out of this impressive bit of kit. We also talk to the CAA's new head of GA, Tony Rapson, about his plans for light aviation, including the likelihood of IFR for Permit aircraft – you'll be pleased by what he has to say. 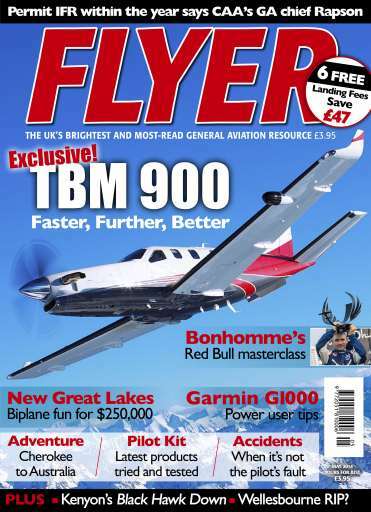 There's also a look at WACO's new Great Lakes, the latest tales from the Bush Pilot, all the latest news and in Paul Bonhomme, Dennis Kenyon and Ian Seager, the UK's best GA columnists. PLUS, this issue of FLYER includes the 2014 Learn To Fly Guide, designed to encourage new pilots into GA.